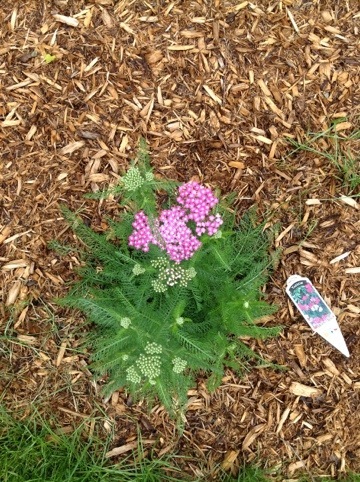 Some home gardeners in Saratoga and Lake George don’t like Yarrow, they think it spreads too quickly. The Butterflies feel differently though; Yarrow is one of the best plants to choose for attracting Butterflies to the garden. 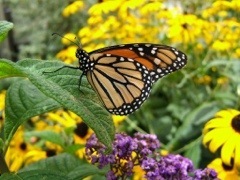 Butterflies can see more range of light than any other creature. They see the full spectrum of light that’s visible to us as well as ultraviolet light. Many of the nectar producing flowers have co-evolved with the different Butterfly species and actually have nectar guides around them, visible only in ultraviolet light. The Butterflies are drawn to the garden, they can see the concentric bands of colors invisible to us and are alerted to the presence of their food source. And so, flowers that appear monochromatic to our unsophisticated eye may actually be much more nuanced and intricate.